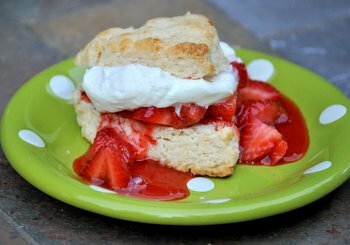 Strawberry shortcakes are one of my favorite summertime desserts because I just can’t get enough fresh strawberries when they’re in season. I typically chop them up and add them to a shortcake whole, with just a little bit of whipped cream to dress them up. This time I did something a little bit different and added a tropical guava-spiked syrup to the filling. This made for a much more moist and flavorful strawberry shortcake dessert! The shortcakes I used here are actually coconut scones. They’re light and buttery, with a generous amount of shredded coconut in the mix that gives them a tropical flair – and it also makes them much more interesting than the bland sponge cake that is so often used to make shortcakes. I added a little vanilla extract to the scone dough to highlight their sweetness. You could boost the coconut flavor by adding a little bit of coconut extract, too. 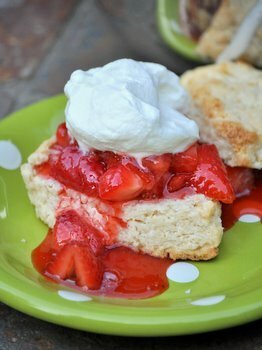 The scones are actually delicious on their own, but the make a good base for these shortcakes because they are sturdy and are flavorful enough that they aren’t completely overwhelmed by either the strawberry syrup or the whipped cream topping. The filling for these shortcakes starts with a very easy to make strawberry guava syrup (essentially the same syrup that I used to top these pancakes) that comes together in the microwave in just a few minutes. The strawberries in the syrup break down a bit during cooking, so I added back some freshly chopped strawberries to the mixture just before spooning it onto the shortcakes. Every serving is going to have great flavor, great texture and lots of berries. The syrup can be used warm or chilled if you want to prepare it in advance. The scones can also be prepared a day or two in advance and stored in an airtight container before assembly. 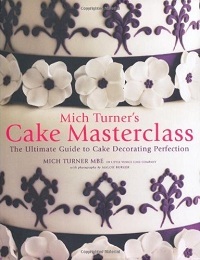 In a medium bowl, whisk together flour, baking powder, salt and sugar. Add butter and toss to coat. Using your finger tips, rub the butter into the flour mixture until it resembles very coarse sand. A few larger bits are ok, but most should be smaller than a pea. Stir in shredded coconut. Add vanilla and coconut extract (if using) to milk and stir to combine. 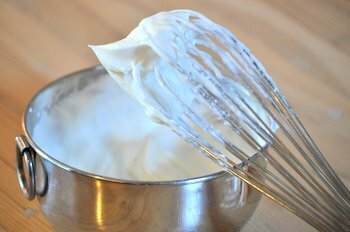 Add about 1/3 cup of milk into the dry ingredients and stir with a fork until dough starts to come together. Add remaining milk as needed until dough comes together into a shaggy ball. Knead lightly with your hand until dough is smooth and only slightly sticky. Divide dough in to two balls and press each into a disc about 1/2-inch thick on prepared baking sheet. Cut each disc into quarters and separate slightly. Bake for about 15 minutes, or until scones are a light golden brown on top. Toss together diced strawberries, guava jelly, cornstarch and sugar (if using because berries need a little extra sweetness) in a small, microwave-safe bowl. Microwave on high for 50-75 seconds, until mixture bubbles and berries become tender. Use immediately, or store in the refrigerator, covered, for one day. Once syrup is made, transfer it to a large bowl and stir in fresh, halved strawberries. Cut scones in half and top with a generous scoop of strawberry mixture, followed by a scoop of lightly sweetened whipped cream. These do look incredible. The combination of guava and strawberry must be absolutely divine. I like that these scones would be good by themselves & can hold their own; they’re coconut! Not just plain old scones that require a filling. I’ll have to hunt for some guava jelly or paste to make these!